We have pulled together a list of 4 online accounting services and companies in the UK. Xero is a cloud-based online accountancy software system. Connect up your bank account, credit card or PayPal account and Xero will automatically reconcile everything. Xero have a range of apps including a Chrome app. 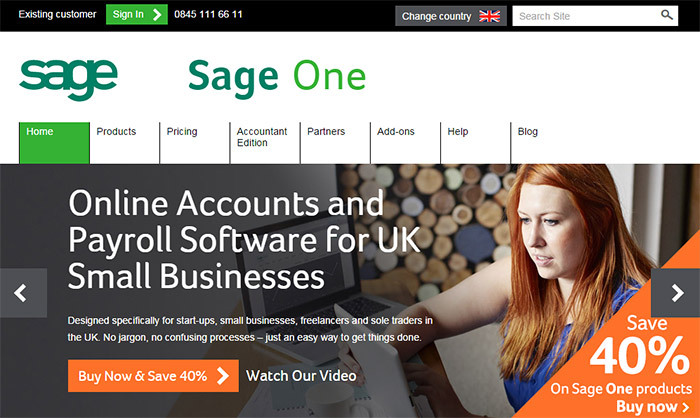 Sage provide online accountancy software for small business in the UK. With QuickBooks you can send invoices, accept payments, manage VAT, connect bank accounts, and access everything with a range of apps. We hope you have found this article useful. If you have any recommendations please leave them in the comments below.